The actor kicked off a party on the ramp. Take a look! 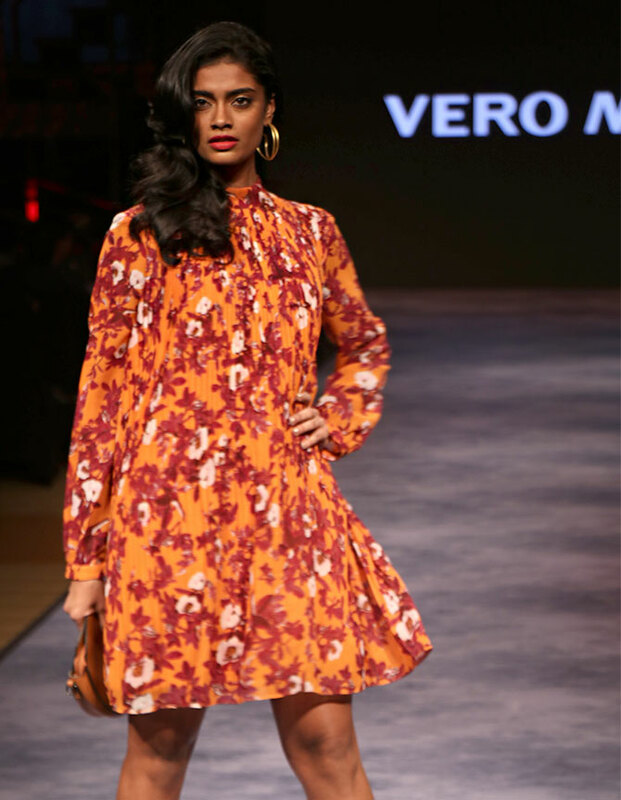 Sonakshi Sinha strode the ramp for fashion brand Vero Moda as it completed 10 fashionable years in India. Dressed in black separates, the actor looked party-ready as she took to the ramp. Scroll down to take a look at the pics from the show. Who's ready to kick start the party with Sonakshi? Dressed in a black bralette and a fringed skirt, the actor walked down the aisle in style. She rounded off her look with a grey jacket and dramatic eyes. 'Fashion is such an integral part of my life and profession,' said Sonakshi. 'The VERO MODA woman is an empowered, fierce individual aka a total goal-digger -- just like me. 'I'm really happy that I got to celebrate this joyous occasion with the brand,' she added. Close on Sonakshi heels was Bruna Abdullah who rocked mustard separates. Bruna cut an impressive figure in the formal look. 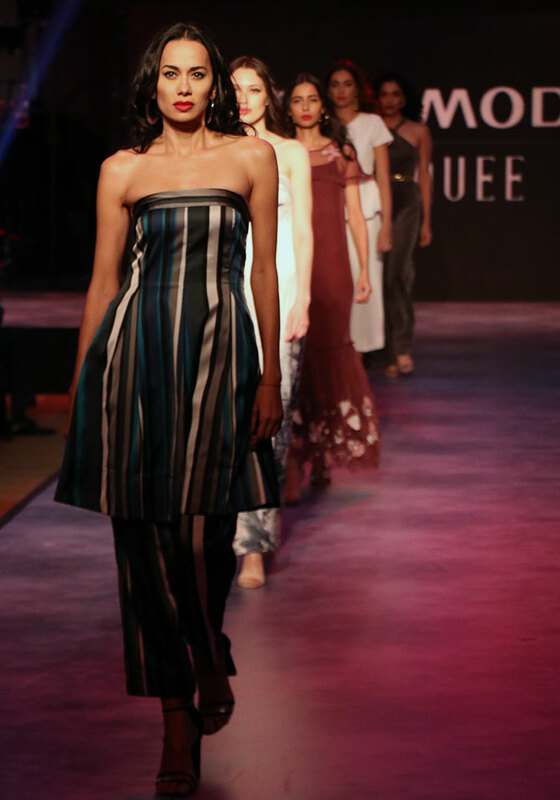 Archana Akhil Kumar showcases a printed dress. These part-ready models will put you in the right mood. Stripes and polka-dots...this look has it all. We end with a glamorous and classic look in blue.